Diversity is good for business, especially creative business, so little wonder that diversity is an increasingly hot topic at Cannes. 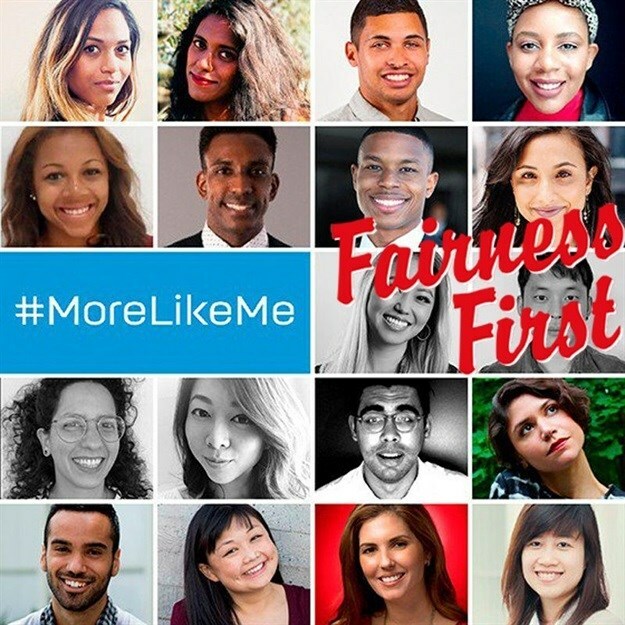 With the 2018 Cannes Lions Festival of Creativity kicking off later today, if you're covering the festivity from afar, you're likely to see the #MoreLikeMe hashtag trending on your timeline, in addition to #SeeitBeit and more. The first ever #MoreLikeMe Cannes Lions attendees. Let's take a step back and reflect on last year's Cannes Lions Festival of Creativity before we dive into this year's creative insights. Forbes adds a reminder of Vita M Harris, chief strategy officer and EVP at FCB who highlighted diversity at Cannes Lions last year with the launch of the #CreativityInColor movement and social media event. Rarely seeing other diverse professionals, despite knowing that, although underrepresented, we are there, contributing to the creative economy of the world – and winning awards. According to CNBC, diversity was the big talking point at Cannes Lions 2017 with the launch of the Unstereotype Alliance, with big brands focused on just the importance of diversity of race in advertising but also gender, sexuality and disability. Where age is concerned, expect a fresher perspective on Cannes Lions than before in 2018. In addition to the country Young Lions winners who will battle it out for best of the globe, this year’s FCB Global Cannes FCBsocialEye is SA’s own Yenani Madikwa, copywriter at FCB Joburg. And if you’ve already touched down and downloaded the app, you’ll have seen that the Cannes Lions’ Good track on Tuesday sees HP and Omnicom present a 45-minute panel on diversity’s power to drive business results for brands through bold action. It’ll feature British Vogue editor in chief Edward Enninful, Westworld actress Thandie Newton, Omnicom chief diversity office and Adcolor founder and president Tiffany R. Warren, as well as HP marketing chief Antonio Lucio. This comes as an extension of the overall HP diversity drive, in which the brand goes so far as to ensure that each agency it works with consistently focuses on improving the number of women and people of colour working on the HP business, with diversity scorecards aimed at upping those figures each year. AdWeek confirms HP’s new programme will add to the youthful sparkle of the industry, in helping develop talent in sending more diverse creatives to Cannes. A total of 18 young creatives – up from the initial 15, as Facebook has since partnered on the programme and selected three of the 4A’s Multicultural Advertising Intern Programme interns to join the group. Chosen from across the US, UK and Mexico to attend Cannes Lions, there will be a particular focus on the mentoring and networking events but also beyond the Festival itself, by developing a post-festival plan for each participant. The idea is that each person will go on to inspire change and champion diversity within the industry. For this pilot year, the participants were selected from HP’s roster of agencies—BBDO, Edelman, Fred & Farid, Giant Spoon and PHD— but HP intends to extend the programme in future years. The first-ever #MoreLikeMe programme will doubtless inspire the industry at large while inspiring for the next generation of global creatives. AdWeek adds that HP will be the first brand to partner with The Female Quotient group dedicated to championing diversity in the workplace – another programme set to kick off at Cannes. The Drum adds that HP was also the first to sponsor the Free the Bid non-profit initiative, spearheaded by director Alma Har’el. Free the Bid asks agencies to include a female director on every triple-bid project. The year before, none of the HP films were directed by women. After the diversity challenge, nearly 60% of HP’s global campaign films have been directed by women – all Free the Bid directors. Seems we’ll see lots #MoreLikeMe post #CannesLions2018, keep your eyes peeled! We’ll be live reporting from Cannes Lions ourselves, watch this space!